If you’re in a part of the country without snow on the ground right now, you might not fully appreciate the solace that lies within winter beers. You may have already read that it’s a primal instinct for humans to party. But taking it a step further, there’s something much more instinctively satisfying about getting together with your fellow primates; braving the cold and celebrating the very fact that you’ve braved the cold. Being out in a public gathering area during cold weather somehow amplifies the sense of community. 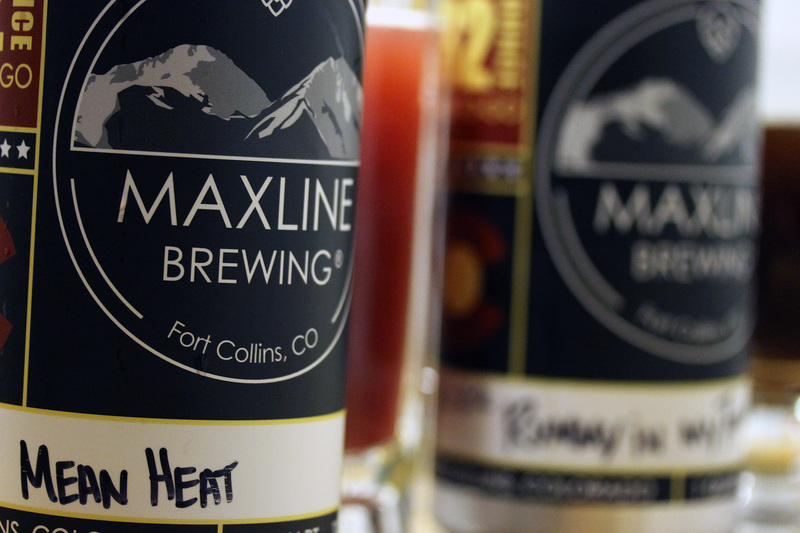 Maxline Brewing in Fort Collins, Colorado is exactly the kind of place you’d want to go and brave the cold weather. On their own merit, the inviting tap room and the friendly welcome of owners Kevin Gearhardt and Cathy Morgan are enough to lure you in and keep you planted for a couple hours. But then there’s the beer. Despite being hyper-local and relatively unknown outside of Northern Colorado, Maxline enjoys widespread rave reviews. They also have an impeccable reputation that extends to all aspects of the business. We recently had the chance to try Mean Heat Wheat and Rummy in My Tummy (a barrel-aged Winter Warmer), and chat with the amiable husband-and-wife team. 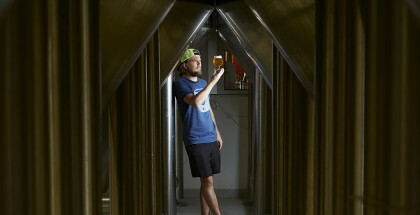 The craft beer scene in Northern Colorado is extremely competitive and has exploded in the past few years. Keeping the charm of a local neighborhood hangout while remaining relevant in the overall scene is a balancing act. “Our vision for Maxline Brewing from the very beginning was to have the feel of a neighborhood pub, or as we’ve later come to say be your ‘living room away from home.’ During our expansion in 2018, it was very important to us to maintain that feel in the expanded taproom. Besides extra seating capacity, Cathy created ‘cozy corners’ where groups of people can sit and relax together over a beer. But having a great group of employees from the outset, that truly feel like a family, has been the key overall to making things work. Being true to what we’ve been is our number one objective, and we feel that keeps us competitive with the other taprooms in Fort Collins. 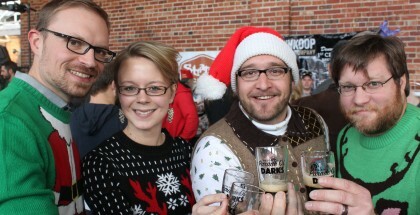 And of course continuing to make great beer and offer fun seasonals!” said Gearhardt. The brewery’s expansion in 2018 gave Maxline a barrel room and the capacity to tinker with barrel-aged expressions. The rum barrel-aged brew “Rummy in My Tummy” is Maxline’s first foray into the world of BA beers. It’s their seasonal Winter Warmer aged for a year in Copper Muse Rum barrels. Pouring it, it looks a bit like a Coke with nice carbonation and a sweet, malty nose. The rum definitely takes front-and-center on the palate. However, it is wrapped up like a blanket by chocolate, making the whole package very reminiscent of a White Russian. The finish is just the slightest bit bitter, which helps round out the primarily sweet experience. If you like rum barrel-aged beers, add this one to the list to try when you’re up in FoCo. “When we first opened, we had room for about four barrels on a rack in the tasting room, so we really didn’t have a chance to do much in that area. 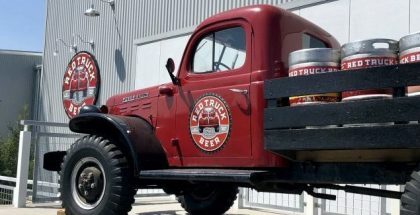 Now that we’ve expanded we have the room to grow and offer more barrel aged beers, something that we know our guests (and we ourselves) enjoy,” Gearhardt explained. This customer-first attitude is part of what makes Maxline so successful, yet charmingly local. Their true commitment to being active in the community reflects how they feel about Fort Collins. It also gives them the chance to give back some of the love they get. Putting their guests first also means having a really diverse portfolio of beers on tap at all times; something for people who are in the mood for traditional brews and something for people who want to experiment a bit. Mean Heat Wheat falls into the “experimental” category. It’s a nice, effervescent pour with a really cool, unique purplish color from the berries. The beer is brewed with 15 pounds boysenberry and 1.25 pounds of habanero peppers per barrel! The nose is a bit misleading; it’s tame and subtle, even though you can catch bits of fruit. The 1.25 pounds of habanero are shockingly (and pleasingly) evident right away. The spicy tingle lingers on your lips pretty much the entire time you’re enjoying the brew (and for many minutes after). There’s a subdued tartness with the boysenberry; it’s a nice combination, sort of like jalapeño poppers with raspberry jam. If you like spicy foods, it’s an absolute must-try. 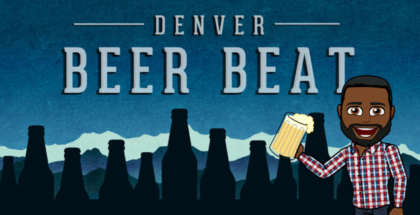 Although there are plenty of great beer options for warming up in winter, another favorite Colorado pastime is wishing for a different season, no matter what the weather may be, and the beers that accompany that season. So while you can take comfort in the primal sense of community that braving cold weather brings, there’s also comfort in knowing a nice summer brew will be here sooner than you think.